Social media analysis can produce insight that enhances and reinforces findings from traditional market research techniques.A debate is raging over whether scanning social media for insights is a substitute for disciplined market research. In our view, the answer is no. However, that doesn't mean social media analysis is without value. Market research, whether for products, issues or elections, rests on testing a representative sample of a target audience. Social media analysis adds value by giving insight into outliers in a target audience, the people who didn't fit neatly in a box. The spectrum of social media users doesn't always equate to a representative sample, so any analysis will have a lower level of confidence than tradition market research techniques. But it provides insight into the "why" of some viewpoints, biases or preferences. 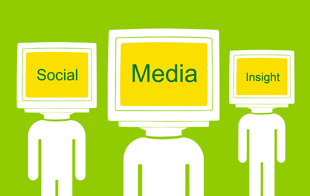 Social media analysis serves, therefore, as a type of qualitative research. Working in tandem, market research and social media insight-gathering can give a richer picture of a target audience. Surveys, for example, offer a perspective frozen in time when the survey was conducted. There also practical limits in reaching the ideal representative sample. People who only use cell phones are easily under-represented in telephone surveys. An underlying trend behind this debate is the growing diversity in our population, which renders the concept of "representative sample" less meaningful. They may be fewer Mr. and Mrs. Average people. And even if you identified Mr. and Mrs. Average, many products and ideas appeal to Mr. and Ms. Not-Average. Surveys collect responses to questions with pre-formed answers. Social media exchanges occur with the language people use everyday. The blended results of surveys, which capture cognitive answers to questions, and social media analysis, which give a window into people's emotional reactions to situations, can yield a more complete picture of your target audience. The one doesn't replace the other; they both reinforce each other by shoring up their opposite's weaknesses. The debate underscores the point that each research challenge is different and should receive a customized approach that fits the situation. It also reminds us that one type of research isn't better than another and most research can be enhanced by using multiple, reinforcing techniques.